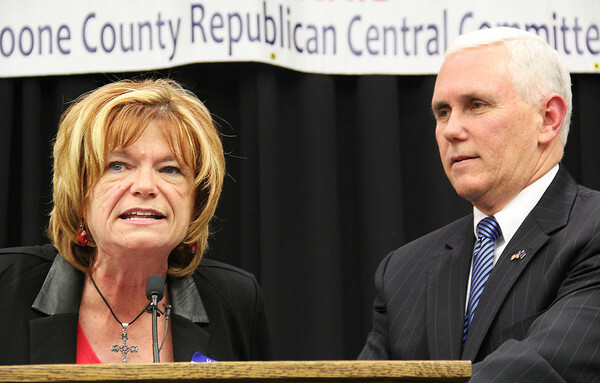 LINCOLN DINNER: Boone County Republican Party Chairman Debbie Ottinger and Indiana Gov. Mike Pence at the Boone County Republican Party's annual Lincoln Day Dinner Thursday night. More than 300 people attended this year's event, including Lt. Gov. Eric Holcomb, Secretary of State Connie Lawson and House Speaker Brian Bosma.